Dave Buehrer's strengths as an instructor are rooted in his over 30 years of guitar experience, coupled with his gifts of patience, encouragement, flexibility, and love for many styles of music. Dave offers custom-designed guitar lessons to fit his students' needs and interests - beginner to advanced, acoustic or electric, students interested in music theory or those just wanting to learn to play their favorite songs. He teaches children, teens, and adults, with students ranging from as young as 5 years old to adults well into their retirement. 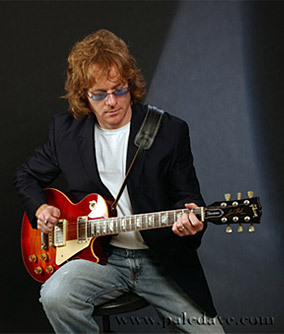 He has taught guitar classes for Explorers Home School Network, Home School Central, and the Ann Arbor Public Schools. Dave also conducts camps, and helps form and mentor student bands. CD Baby. Songs can also be downloaded from many music web sites including iTunes and Rhapsody. He also collaborates with his wife, Jennifer, as an acoustic duo and with MannaFest, a band which devotes its time and energy to helping nonprofit organizations raise money. Dave uses a variety of resources in his teaching including: method books, theory, popular music, songs brought in by his students, and handouts he creates himself. He also offers exercises and techniques in songwriting to those who are interested. There are many ways to learn guitar, and Dave is patient and flexible enough to help any student reach his or her musical goals. Rates: $30 per 25 - 30 minute session - First Lesson Free!